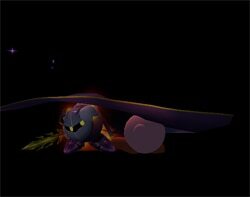 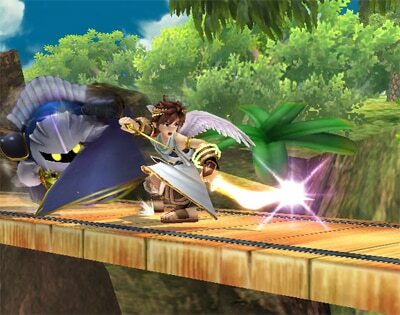 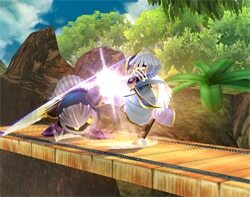 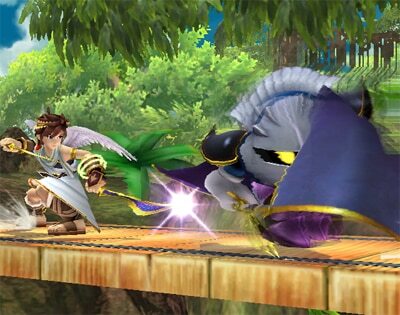 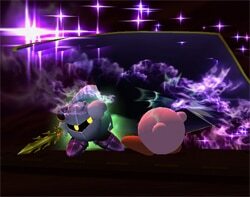 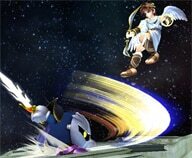 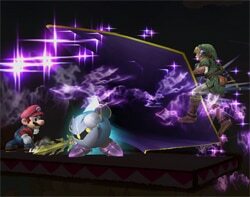 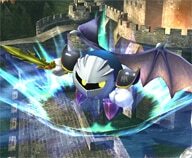 I introduced some of Meta Knight’s special moves in a previous post entitled "Four Special Move Types". 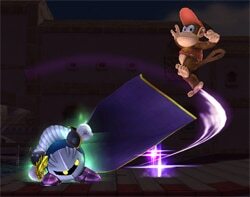 You spin like a drill, ploughing into people. You can also change your direction slightly. That familiar move from the trailer. 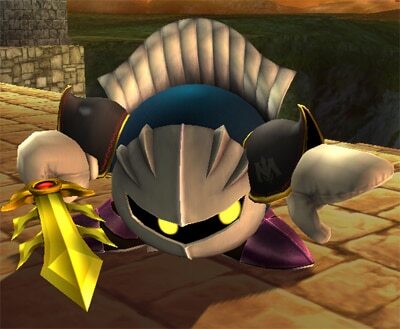 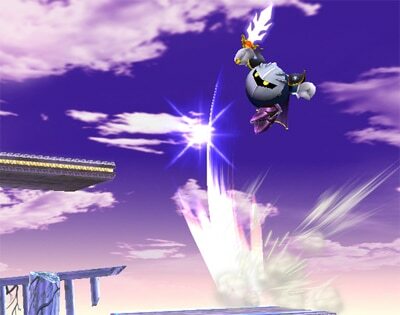 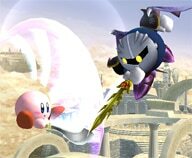 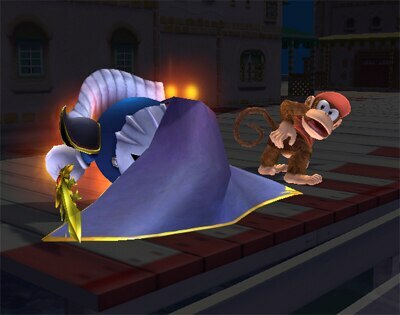 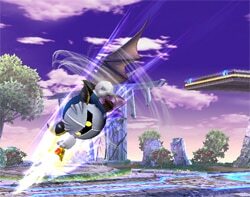 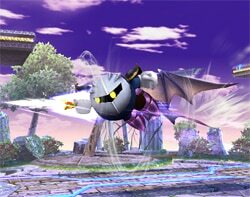 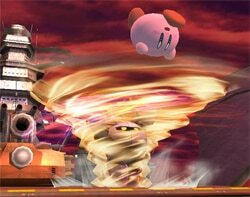 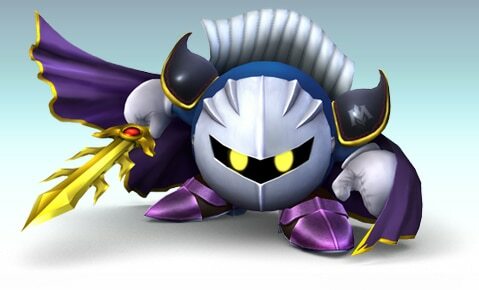 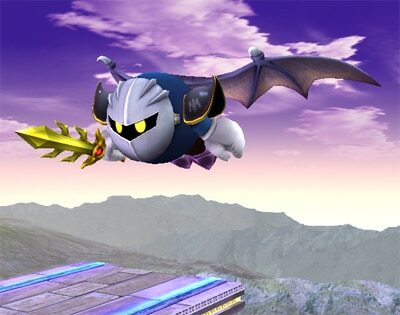 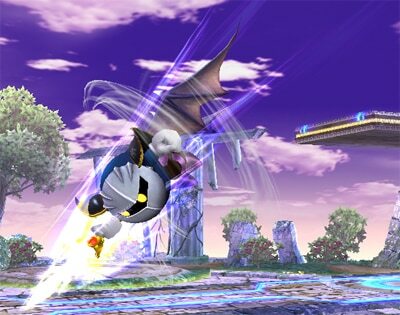 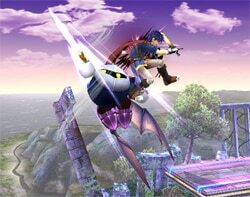 Meta Knight has got the Smash Ball. Behold! ...they get cut in the darkness, too! 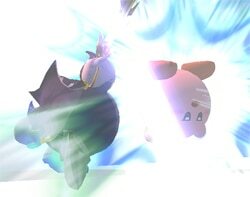 So, while this move’s initial attack range is relatively narrow, if you hit with it, almost everyone suffers. 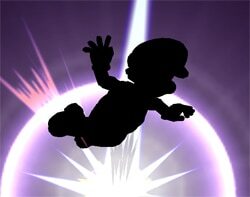 Aim well and sally forth.